Our digital order management system offers you improved security, greater efficiency and full transparency. Our certified recycling services boost your recycling quotas and deliver sustainable environmental protection. Our intelligent take-back system enables you to benefit from optimised transport quotas and professional storage. SIMPLi RETURN organises the worldwide pick-up, transportation and recycling of your end-of-life industrial lithium-ion batteries. Reliable, transparent and eco-friendly. Literally driving electromobility, lithium-ion batteries can be found in electric bikes and vehicles, shipping and energy storage systems. As energy storage needs increase, so too do the requirements for safe disposal or recycling. 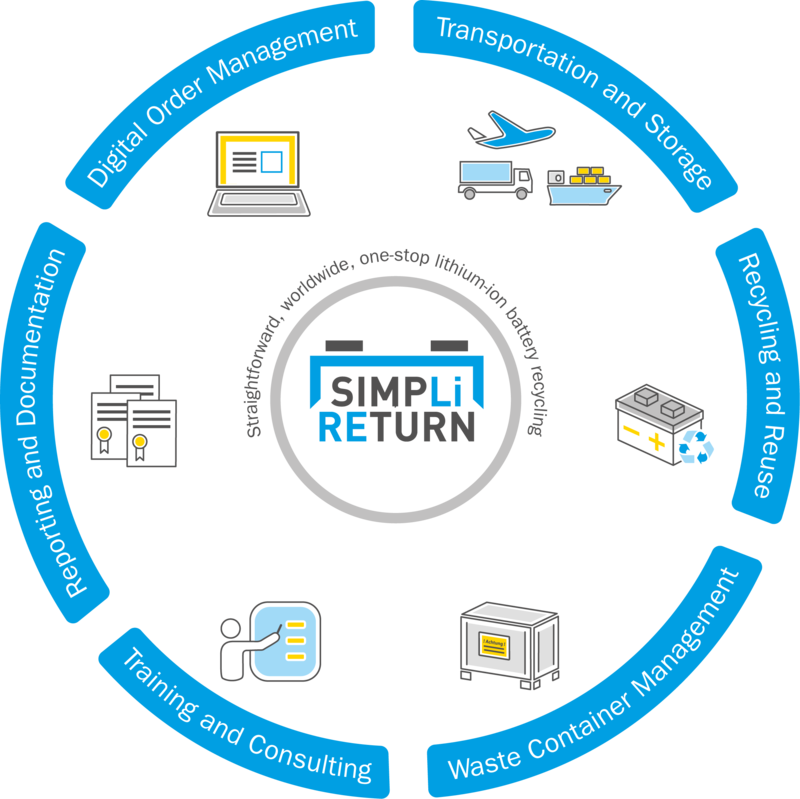 SIMPLi RETURN provides services for the professional packaging, safe transportation and resource-friendly recycling of your end-of-life industrial batteries. The handling of lithium-ion batteries is governed by a strict legal framework. SIMPLi RETURN’s integrated service packages enable you to meet the high standards of safety required as a distributor for the disposal and recycling of intact and damaged batteries. At the same time, you also fulfil requirements relating to safe cross-border transportation and end-to-end documentation. 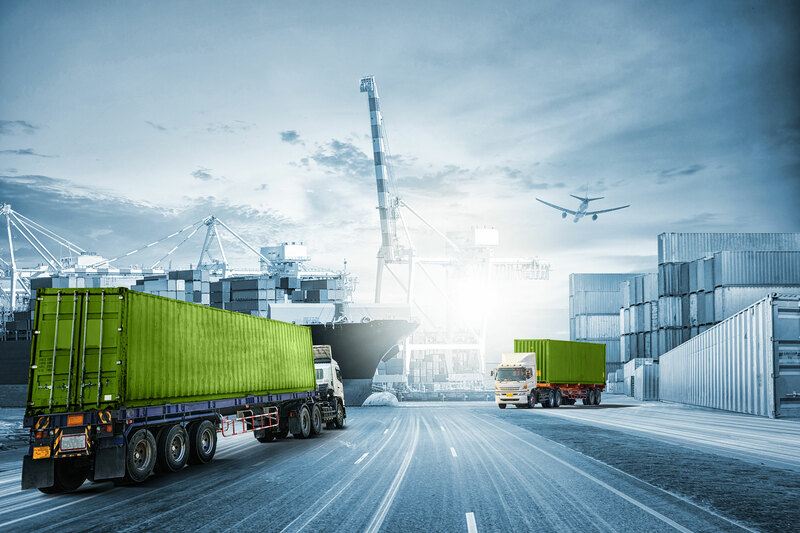 Our service portfolio draws on over 50 years of experience in the waste management and recycling industry, and on a logistics and recycling partner network that spans the globe. All of which means we can also offer maximum value for money. Contact us! We will be happy to advise you on the take-back and recycling of your end-of-life industrial batteries. Entrust the recyling of your lithium-ion batteries to a safe pair of hands.